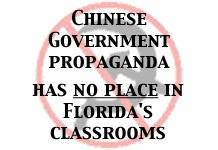 When Florida Splendid China first opened, there used to be quite a few dancers, acrobats and their minders. The management purchased the Days Inn north of the theme park to house them. The park took steps to keep the performers. They kept the performer's government passport, half their paycheck and fined them for talking with park visitors. The performers know who the employers was (they had official Chinese government passports) and they also pointed out members of the Chinese Ministry of State Security (MSS) that were stationed/in residence here in Central Florida, U.S.A.The FBI was informed at the time. Here is a list of performers that leaped the Bamboo Curtain while employed at Florida Splendid China. Note: The data was submitted by an unnamed source that worked at the theme park. No coordinated or organized means were undertaken to cause them to leave, all left voluntarily making their own arrangements and planning.